I've always liked the idea of language exchanges and peer learning as the learning tends to be driven by and through an authentic desire to communicate. HelloTalk is a wonderful example of this, but with lots of nice features to make the process mobile and more efficient. Most of these features are accessed by pressing down on your partner's text to get the pop up tool bar. 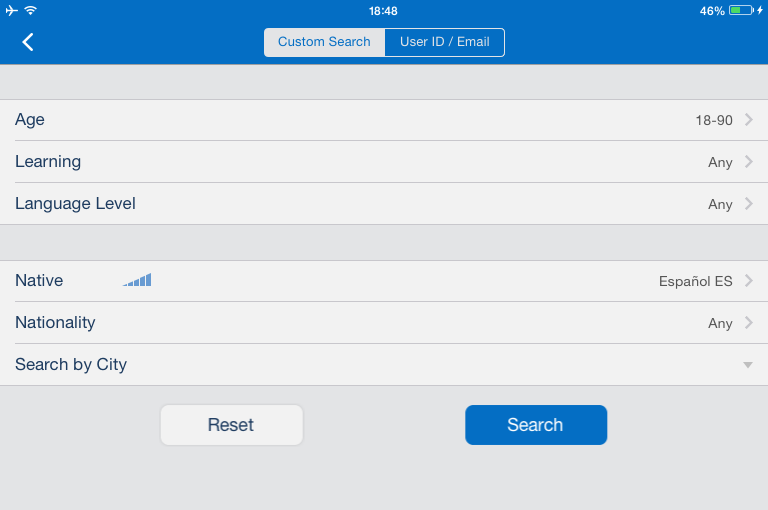 HelloTalk is a free app that you can download for either iOS or Android. Then once you have registered and created a profile you can find language partners to exchange languages with. Once you have registered on the app and created your profile showing which languages you speak and which you want to learn you can start looking for exchange partners. Clicking on 'Search' at the bottom of the screen will show you a list of the people on the site. You can browse this and see how recently they have been online and check out their profile or you can type in a specific name or email address to search for someone you know. You can also customise your search to specific age, level, nationality and you can even search for people from a specific city. Once you have found someone you can send them a message or add them as a partner and they will get a partner request. Once you start chatting with someone, things start to get interesting. 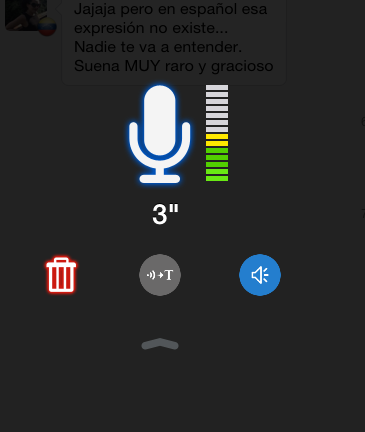 You can text chat or send voice messages by clicking on the microphone icon to record. You can also send images or doodles using a drawing pad. These features open up the app to a deeper level of engagement as you can share more interesting content to talk about. You can play games like pictionary or use the doodle pad like a whiteboard to draw images and explain vocabulary. 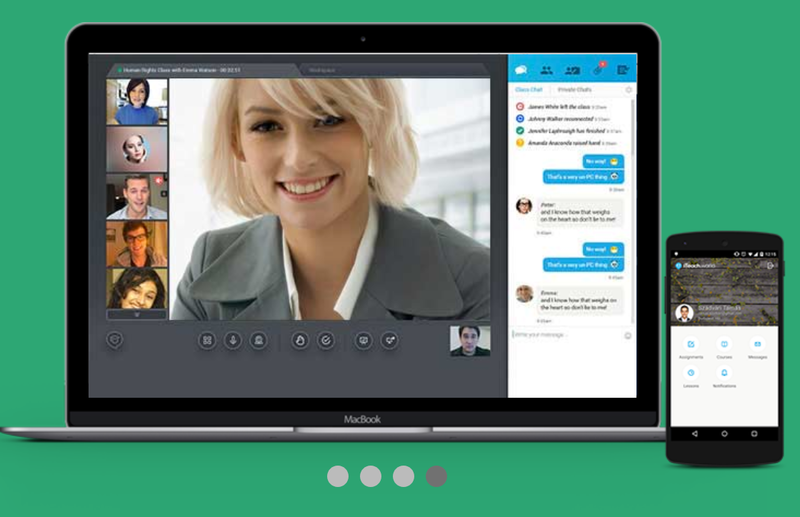 The images are then sent to your partner through their chat interface. 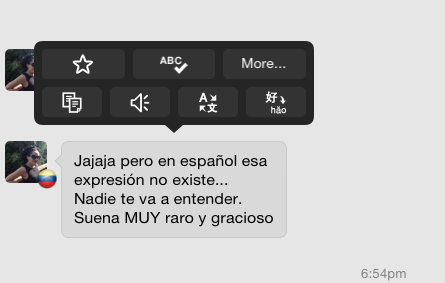 If you don't understand what your chat partner is saying you can also press down on their text and get a translation. If your partner makes a mistake in their text you can correct them. Just press down on their message text then write in the corrected version of their text beneath the mistake and your partner will be able to see their version and the corrected version. You can even add an explanation comment. All of the corrections are automatically saved into a separate area of the app and you can go back and revise and check them. 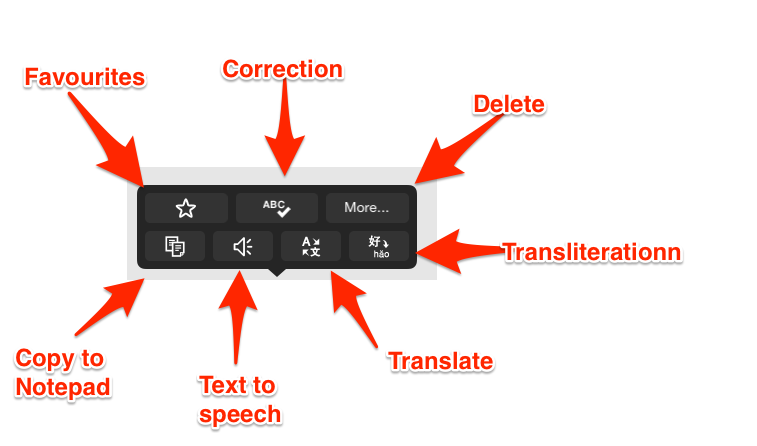 If you don't know how to express what you want to say in the language you are learning, you can also type in your mother tongue and get it translated before you post it. If you join a chat exchange group with your partner, you can decide whether you want to chat by text or by voice and for how long or how many words. The time spans are all quite short so this is ideal for doing some short bursts of learning when you have a just a few moments to spare or some time to kill on the train, etc. Finally, HelloTalk has a Notepad where you can send messages to yourself or copy and paste parts of your chats that you want to remember. One of the first concerns with any service that connects our students to people they don't know, is their privacy and security. HelloTalk seem to be taking this very seriously and make it very clear that any one using the app for flirting or sexting purposes will be blocked and banned. There are a range of built in security settings. These include tools to block anyone making you feel uncomfortable as well as initial security and privacy settings that allow you to limit your visibility within the community and control who can approach you for language exchange. 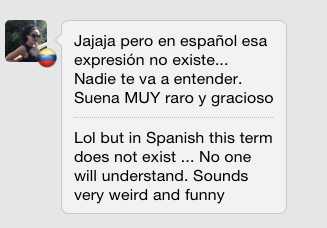 I've been using HelloTalk for a few days now, mainly with my wife, who is teaching me Spanish, and I really like it. I feel like the learning tools and the record of our conversation and the corrections help to make my learning more tangible and enable me to reflect on our interaction and to go back and check things and revise. I really like that I can 'try to' express things and then get some immediate feedback on my errors. This happens when we talk face-to-face, but I don't have the written record of our interaction. It's great that HelloTalk are taking privacy seriously too and that it's very easy to block people or restrict who can see you. Because there are quite a few features, there is a learning curve to the app and it takes a little while to understand how to use everything, so it may be best to start off by practising with a friend just sitting next to them so that you can see what's happening on each device. The app is perhaps also best suited to younger people, though under 18s are discouraged, who are more comfortable with the concept of chatting to people they don't know online, but if you are feeling brave, then I certainly think that with regular use this could lead to improvements in your language level. If you recommend it to students, then it would also be good to set them some tasks to do or topics to discuss, as often the most difficult thing when talking to someone you don't know is just thinking of something to talk about. 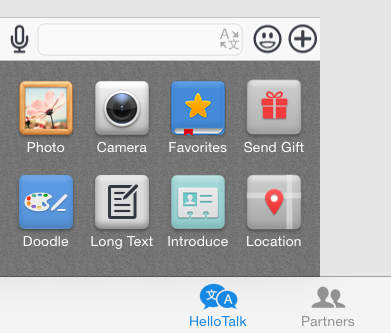 HelloTalk would also be a great app to use with your class to do language exchanges with a class in another country. You could partner your students up, set them tasks and know that they will be safe and have some tools available to support their language exchange experience. I'm really enjoying using HelloTalk now. I hope you find it useful too.